The first weekend in August was Education Week at BYU-Idaho. My sister, Ashley, was so kind and agreed to watch my kids for me so I could go! Yay! I was beyond excited. 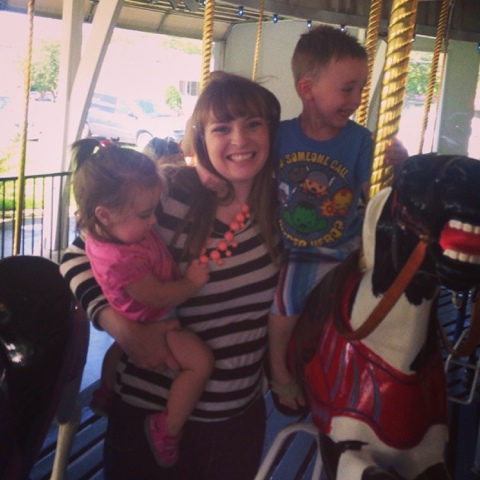 We went up to Rexburg a day early and spent the night so we could all do a few things together before she was left with all 5 kiddos by herself. 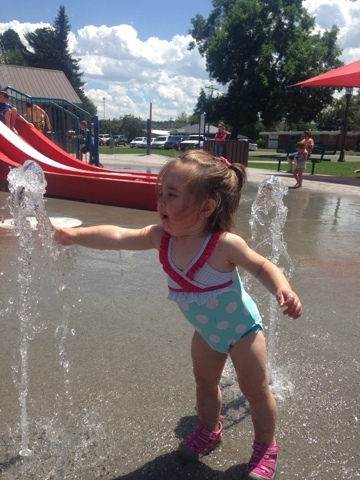 We took the kids to the park to eat lunch and then headed over to the Splash Park. 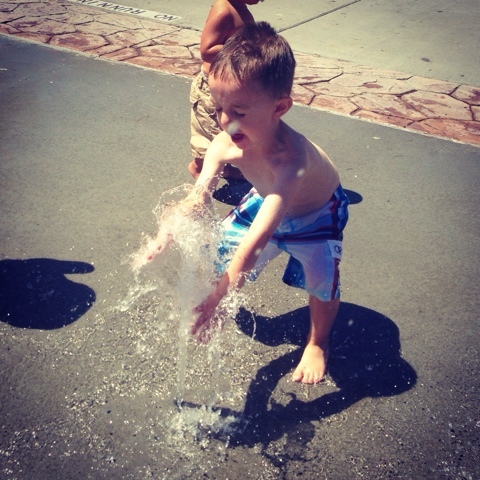 Carson and Brooklyn both actually splashed in the water - which is a huge improvement for Carson! Normally he likes the idea of water that will splash him in the face, but when it comes down to it he would rather avoid it. This time he played in in (granted only a little) and they both had a good time. Right next to the splash park is a carousel. We took the kids on it after they were done swimming. Carson was scared about falling off for some reason so he had a death grip around my neck. Brooklyn was ready for her nap so she wouldn't let me put her on a horse and also had a death grip on me. I was a little ready for the ride to be over by the time it finally was. :) Carson did laugh the whole time and loved it as long as I didn't move. Silly kid! I was able to attend some absolutely amazing classes at Education Week. I prayed for weeks beforehand that I would hear the messages I needed to hear, and those prayers were certainly answered. I was able to attend classes on marriage, finances, sharing the Gospel through social media, motherhood, healthy meals on a budget, and several others. Jason was able to come up on Friday and attend classes as well. He went to different classes then I did and it was fun to hear about the things that he learned and felt while we were there. 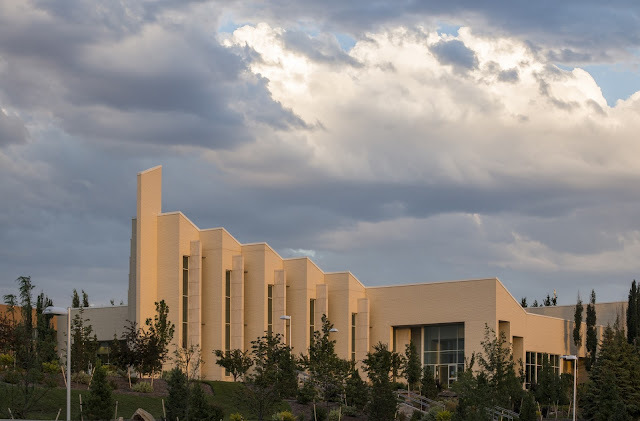 Friday evening, Carly and Will came up to Rexburg so we could all go to a session at the Rexburg Temple. It has been a long time since Jason and I had gone through the Rexburg Temple and it brought back a lot of sweet memories for me. When we were very first married and didn't have kids, we would go to the temple together every week. We would sit in the Celestial Room for a long time and ponder. 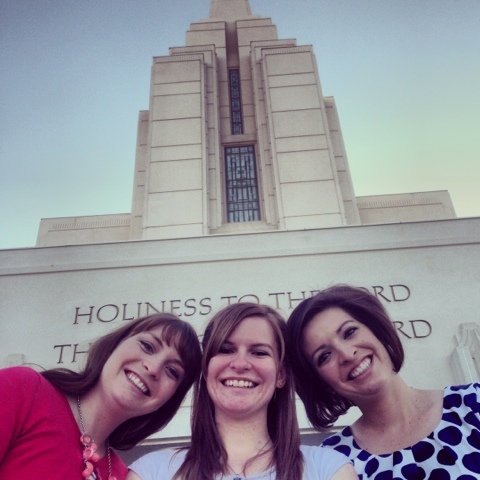 Now we rarely are able to attend the temple together (we normally go by ourselves - since the kiddos came along, ya know?) and we go to the Idaho Falls temple now. 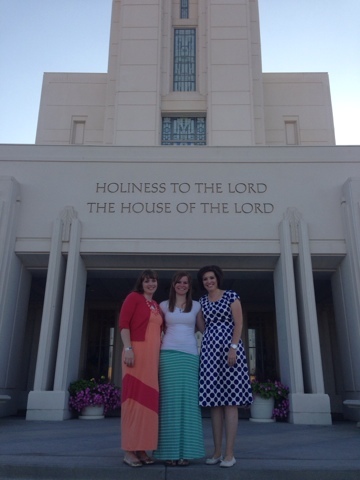 Anyways, it was good to be back "home" in the temple that will always be special to me. The temple session was AMAZING. It was the first few days they had changed the movie and it was an entirely different experience. I always love going to the temple, but I definitely left inspired this time in a different way. It was so fun to be there with my sisters and our spouses. I love my family!! Saturday morning we were able to go back to the Rexburg temple and perform baptisms for some of our family, including 2 of our grandpas on my mom's side of the family. It was awesome. I love the temple. I love the Gospel. I am so glad that I am a member of the Church of Jesus Christ of Latter-Day Saints and I know that it is the true church. I know my Savior lives. I know that He came to earth and atoned for my sins so that I can return and live with Him again someday. 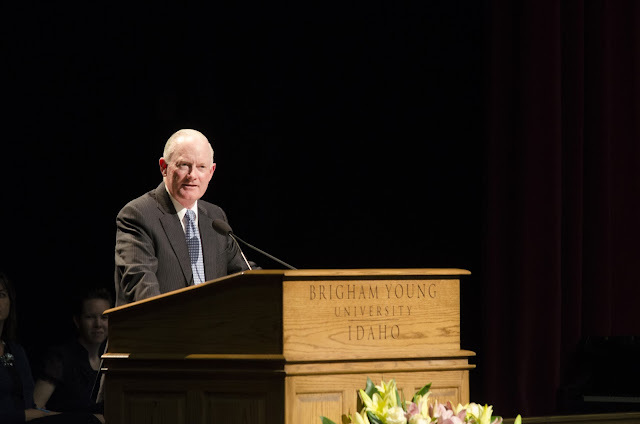 I know that families can be together forever through the ordinances made in the temple. I know I'm not perfect, but the Gospel gives me the hope I need to be a little better everyday.